Maybe you are tired of working in a fast-paced corporate environment. Or maybe you have family commitments that you wish to fulfill. Whatever be the reason, you have made the decision to stay at home and take a break from your demanding job. But how do you earn your bread and butter if you do not go to work? Here are top 4 jobs that are perfect for individuals who would like to take a much needed chill-pill. P.S. – you can even do these jobs while you’re travelling provided you have a good Internet connection. 1. Translator – Are you an expert in more languages than one? Use this to your advantage and find yourself the perfect stay-at-home-job. This is an opportunities for those who are native speakers of the particular language because companies often look for individuals who are culturally acquainted with the use of words and phrases and can work irrespective of their area of residence. 2. Web developer / Designer – If you are fond of the creative industry and would like to put your creative skills to test without having to work in an office environment, a golden opportunity awaits you. Freelance web developers / designers are highly sought after because companies are able to get their projects done at a lower price and focus on acquiring large-scale projects. 3. Teacher – In terms of the education sector, a lot of opportunities are available for those looking at getting long distance education. Due credit goes to the constantly advancing technology, which has enabled the integration of multimedia learning to make education fun and interactive. This venture has also been made possible by home tutors / teachers volunteering to dedicate their time to teaching virtually. 4. Writer/ Editor – While the print industry may be facing a few drawbacks, the online platform on the contrary is booming with more information channels popping up in the form of blogs. This has created the requirement for writers and editors who need to provide content for these platforms whilst editing and proofreading it as well. Enter writers / editors, who can make money easily by generating content for guest blogs or turning their own blog into an entrepreneurial venture. 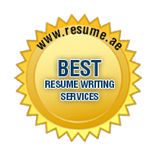 Call our experts at Resume.ae, one of the leading Resume Writing Service Providers in Dubai, UAE, to help you prepare a cutting-edge Freelancer Resume.